Throughout her 31 years practicing law, Brenda Joy (B.J.) 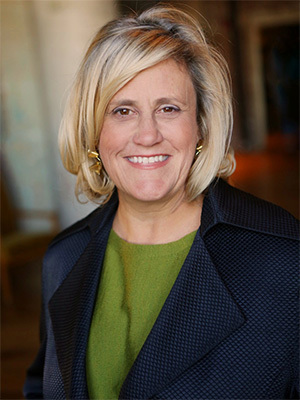 Bernstein has professionally and persuasively advocated for her clients, and is recognized as one of the top trial lawyers in Georgia. She has received numerous awards for her commitment to justice. Having tried both civil and criminal cases makes her very unique among trial lawyers. B.J. is 1987 graduate of the University of Georgia School of Law and received her B.A. in history from Emory University. She has tried over 100 jury trials in her career as well as handling a number of appellate cases that have changed the law on numerous issues. She is a savvy negotiator as well. B.J. has appeared as a legal commentator on television and radio including CNN, MSNBC, FOX, ABC, CBS, NBC, NPR, V-103 Atlanta. Her prestigious awards include the John Jay College Justice Award; the Distinguished Service Scroll Award from the University of Georgia School of Law (the highest award for alumni of the law school) ; Atlanta NAACP Jondelle Johnson Freedom Award; the SCLC-Women Drum Major of Justice Award; Emory University School of Business and Rollins School of Public Health Martin Luther King Service Day Award; special recognition from the Atlanta Gate City Bar Association. criminal defense lawyers and is a mentor of the Women’s White-Collar Criminal Defense Association. She served over 6 years as a Board member of KIPP Charter Schools, and served many years on the Board of the American Jewish Committee Chapter in Atlanta. She was co –Chair of the 2013 Black/Jewish Coalition for the Atlanta Chapter of the American Jewish Committee.